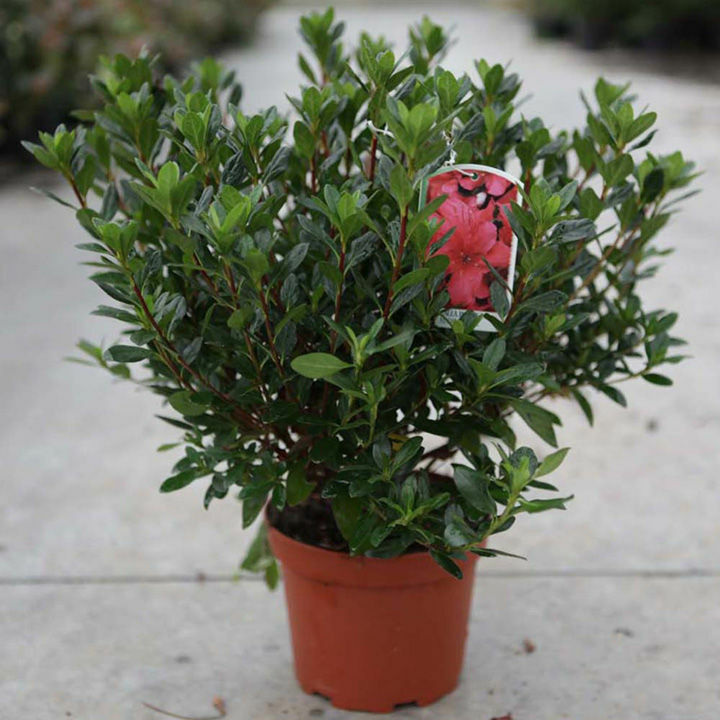 An evergreen azalea that has dark green foliage. Beautiful crimson-red flowers from April into May. Height 90-100cm. Supplied in a 2 litre pot. Dappled shade and sheltered from strong and icy winds. Fertile, free draining acid soil. Ideal for beds and borders, patio pots and containers.